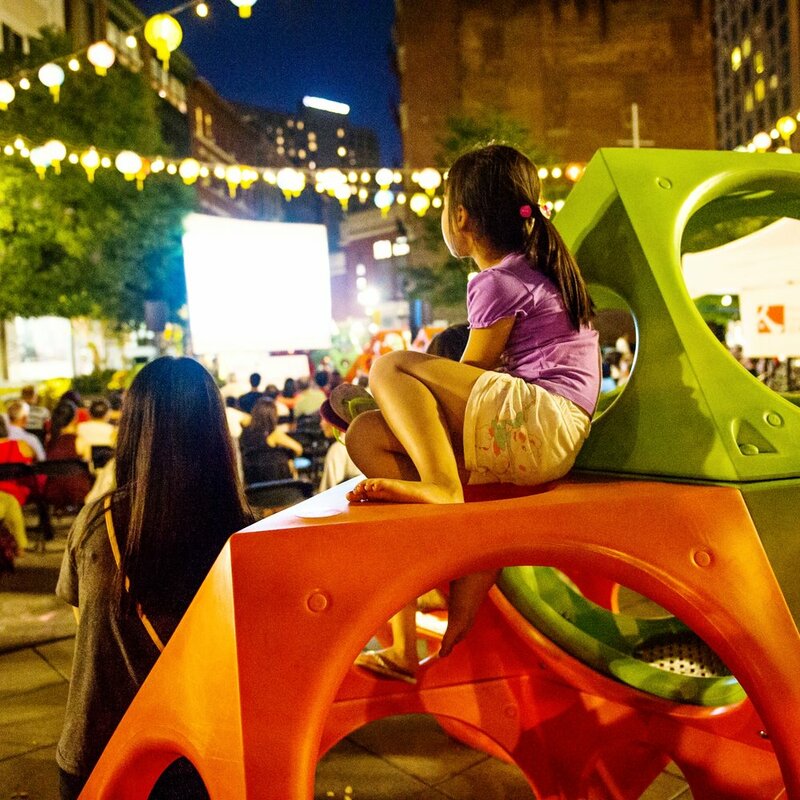 Placemaking is a multi-faceted approach to the planning, design and management of public spaces. Placemaking (or as we like to call it, placekeeping) capitalizes on a local community's assets, inspiration, and potential, with the intention of creating public spaces that promote people's health, happiness, and well being. At ACDC, we believe in community development as a holistic approach, and placemaking is just one of the ways in which we support and mobilize residents to engage in community planning. ARE YOU AN ARTIST LOOKING TO WORK WITH THE COMMUNITY? We’d love to work with you! Our latest opportunity can be found below — an exciting project that involves working with and benefitting the Chinatown community. 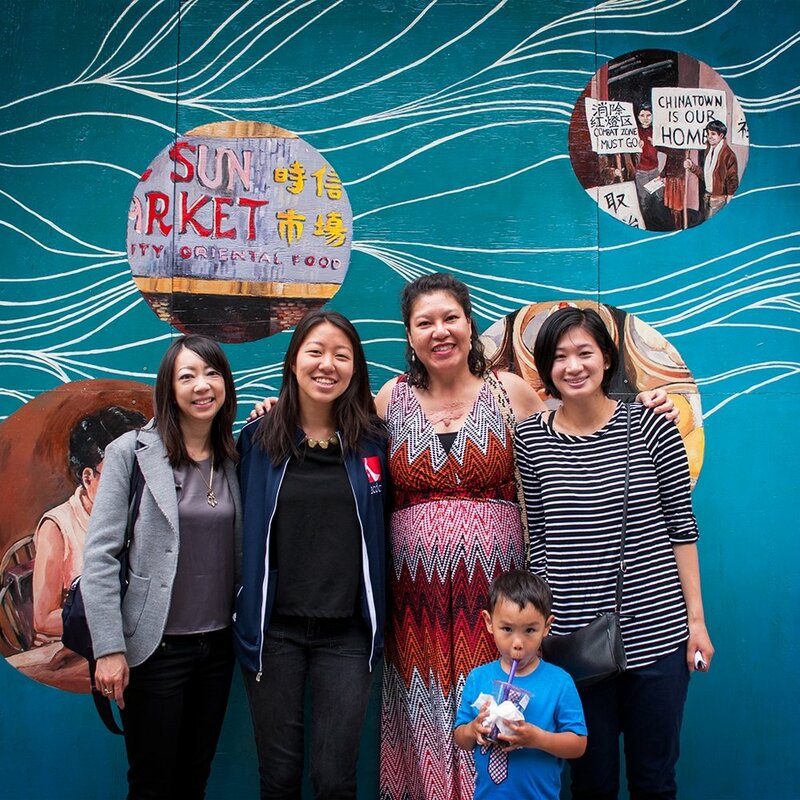 ThinkChinatown is an ideas lab started by two ACDC youth program alumni. Residents brainstorm ideas to transform public spaces, and ACDC helps see the project to fruition by providing funding, staff and volunteer support and technical assistance. ACDC youth worked with college students to revitalize otherwise unused spaces in Chinatown. The pictured activity involved our high school students engaging with community members to fill out cards capturing why they come to Chinatown and where nonresidents commute from. Through this project, youth discovered how Chinatown serves as a social, economic and cultural hub for many people of all different backgrounds. Every summer, ACDC hosts a free film festival to bring community members of all ages together at the historic Chinatown Gate. Events such as this cultivate a sense of community and promotes increased accountability for visitors and residents to keep public spaces safe, clean and enjoyable for all. Boston's Chinatown has always been a hub for newcomers: Chinese, Lebanese, Syrian and Vietnamese. The latest wave of newcomers are affluent, young professionals filling up thousands of luxury apartments. This new wave contributes to the changing demographic and displacement of Chinatown residents. Just as the Asian population is becoming a minority in Chinatown, the physical boundaries of Chinatown are eroding. Use arts and culture to create engage old and new residents in a dialogue of what it means to be part of Chinatown, and to foster a sense of common community. Integrate arts and culture into the multi-textured fabric of land use, housing, transportation, environment and other systems to create stronger, more equitable, and more vibrant urban spaces. Strengthen the sense of cultural identity at the borders of Chinatown that are particularly vulnerable to gentrification. Envision a Chinatown resilient enough to absorb a diverse group of newcomers while preserving its unique cultural identity. Engage long-time residents, recent immigrants, working-class families, and young professional families in experiences and dialogues that cultivate a common sense of community. Click on the items under the Placemaking menu to learn more, and continue visiting our website for more updates!